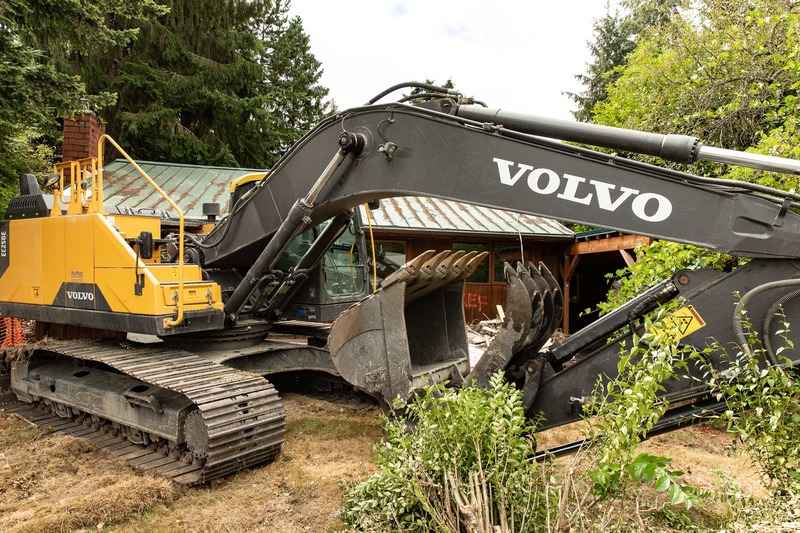 Early demolition work for the Lynnwood Link Extension properties in Shoreline has begun. 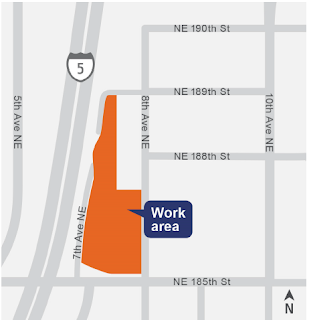 Nineteen structures will be removed between 7th Ave NE and 8th Ave NE adjacent to NE 185th St NE. Demo began this week and is planned to take approximately one month. Demo work will take place during normal daytime work hours and Sound Transit says that crews will make every effort to minimize noise, dust, and debris to the extent possible. 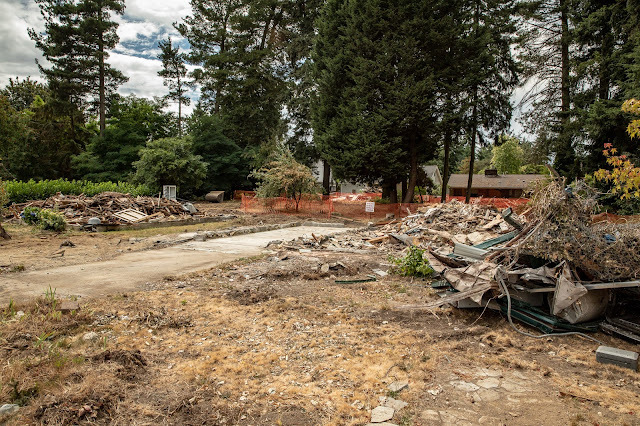 Authorized salvage companies have removed materials prior to demolition and the contractor will recycle clean wood, metal, concrete, and other usable demolition debris. 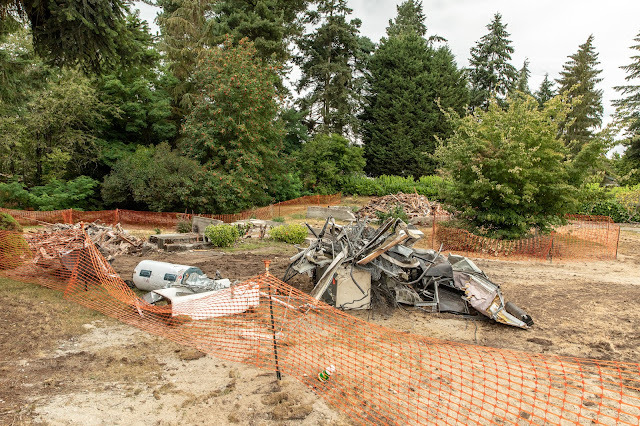 The early demolition work will clear the path for construction activities slated to begin in mid-2019 and minimize unauthorized activity at these sites. After-hours emergency? 24-hour construction hotline: 1-888-298-2395. 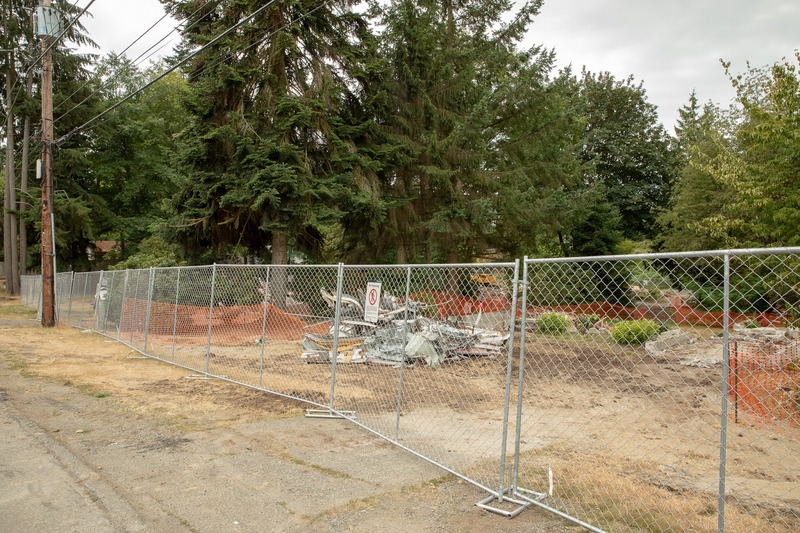 The photos in this article are all from 8th Ave NE.